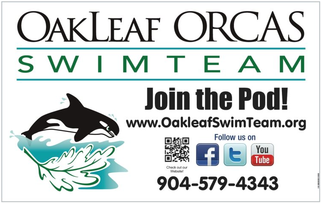 Welcome to the OakLeaf Swim Team website! We are a swim team for children from 5 years of age (as of June 1st) through age 18 who, at a minimum, can swim one lap of the pool (50 yards). Our team is part of the First Coast Summer Swim League. We focus on teaching your child the fundamental techniques of the four competitive strokes. They'll also learn how to compete as an individual while being an integral part of a bigger team. Setting and beating personal goals will be encourage while helping the children be active and physically fit. Check out the Foundations tab to see more of what we build upon and expect. We are in a developmental league and competing with a USA Swimming team during the FCSSL season is not permitted. However, swimmers may continue to practice with their club team during the summer season. Located at 845 Oakleaf Plantation Parkway, Orange Park, FL 32065. It can be found near the entrance to Eagle Landing. 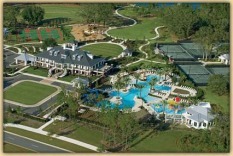 Entrance for Practices and Meets is through the tennis courts. We use our Facebook Fan Page (above) and Twitter to notify you of last-minute changes to practice and meet schedules caused by bad weather. Click on the button above to Follow Us and make sure to receive our messages on your mobile phone. Unsure of how to enable Tweets to Texts, click here! OR: Can I get those Tweets as Texts without Twitter? We use Google Calendar to schedule our practices and Swim Meets. Click on the graphic to the left or this link (or right-click and then select Copy Shortcut) to add our calendar to your Outlook or Smart Phone. If your business would like to give back to the community and become a Corporate Partner just send us an email and we'll send you info on how to become part of the Orca Pod!